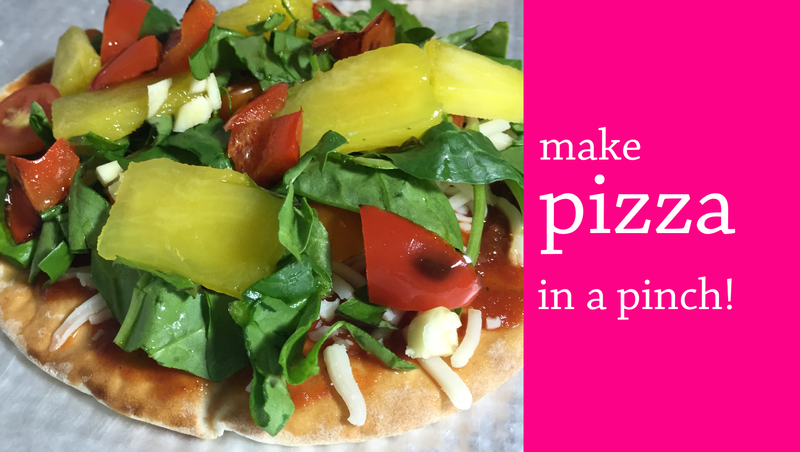 Easy, Healthy Recipe: How to Make Pizza on a Pita – Sooo Fabulous! 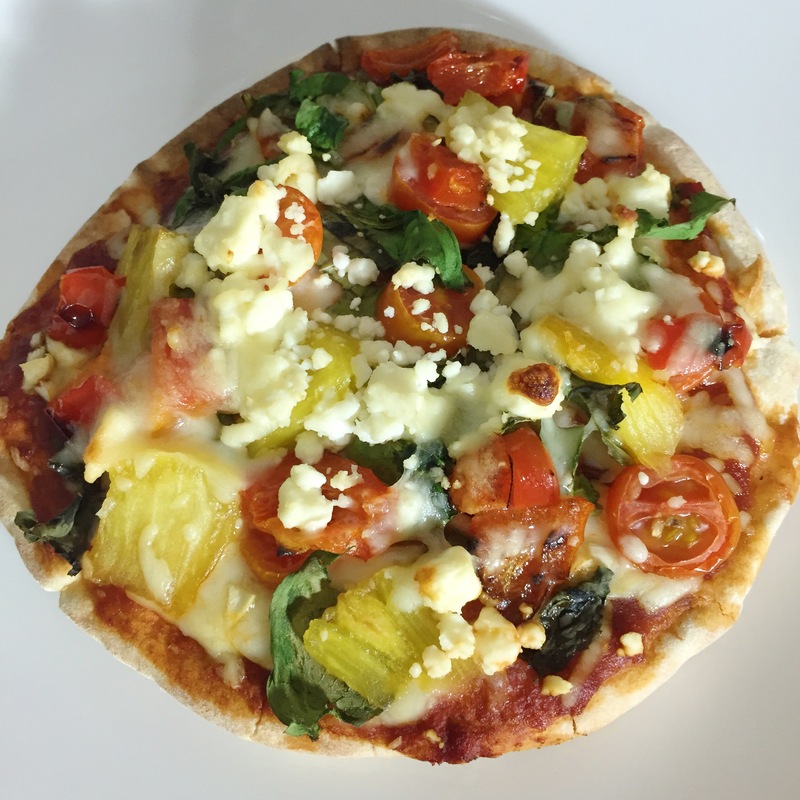 Pizza can be healthy and easy to make. And yesterday, I proved it. With little time to spare and feeling ravenous, I popped into a local grocery store, picked up pita bread and anchovy fillets (under $20), and ran home to start my kitchen experiment. The result? Two cute pizzas packed with garnishes I love, which I already had in my refrigerator and cupboards. 1. 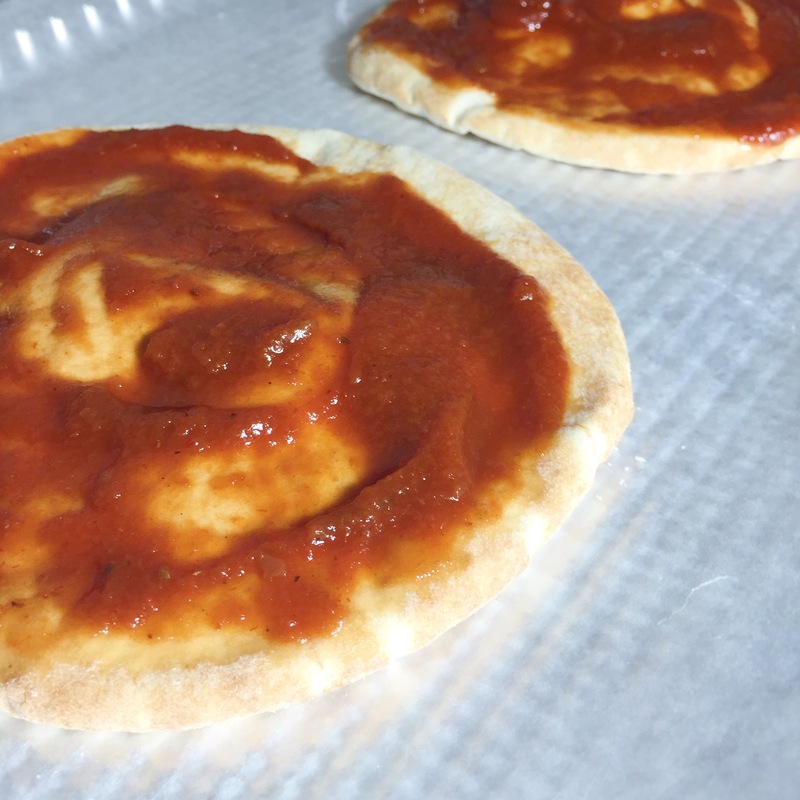 Place pita bread on a pan lined with parchment paper and spread tomato sauce all over. 2. 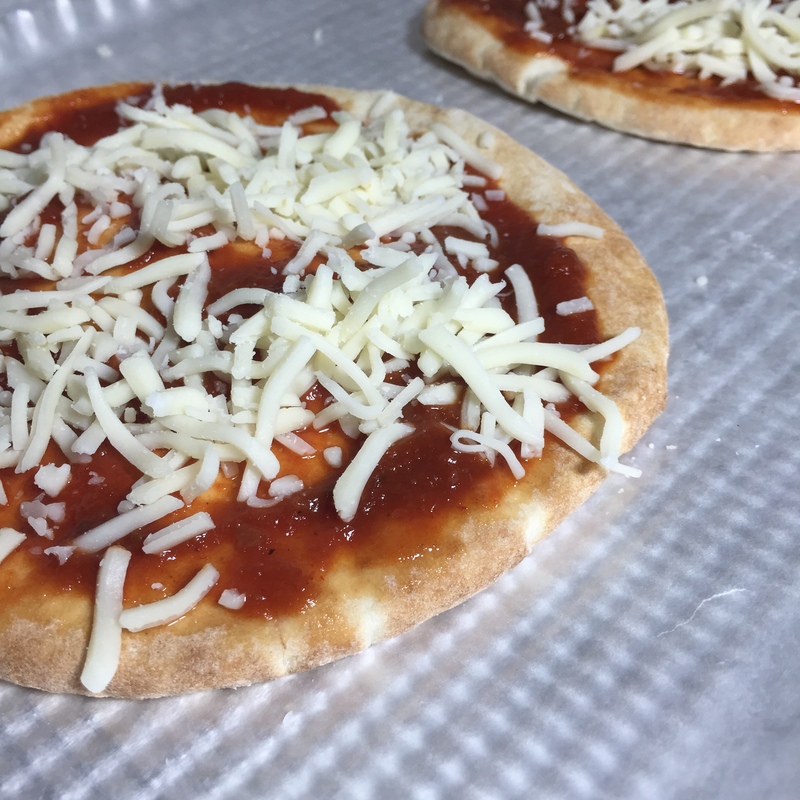 Add a thin layer of mozzarella cheese. 3. Pack the pita with your favorite healthy eats. 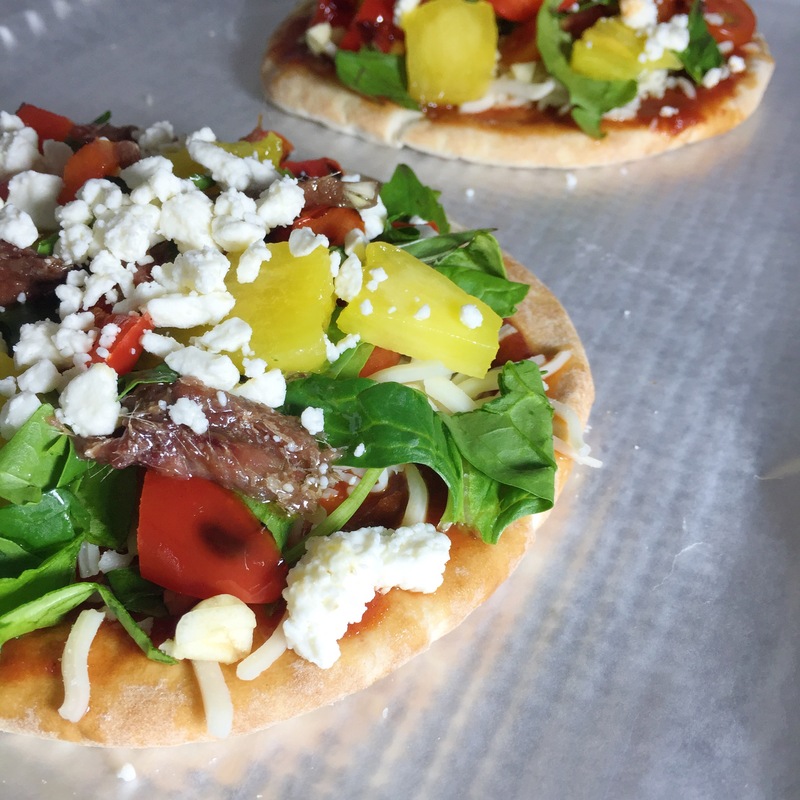 I added: basil, spinach, roasted red peppers, pineapple, finely chopped garlic, tomatoes, feta and anchovy (on one pizza, for a little variety, you know?). 4. Bake at 390 deg F for about 15 minutes and voilà!